A patrol car was parked on Main Street in front of Farley’s Pawn Shop. Approaching her office across the street, Dr. Jocelyn Gold shivered in the cool January air, remembering the same scene only five days before—when Earl Farley had been found dead, an apparent suicide, in his office right below his apartment on the second floor. Was the sheriff’s department completing its investigation into Earl’s death? Sheriff Bradford Reed hadn’t been very supportive when Earl died, but then the Farley’s didn’t belong to the elite of Loomis. After the deputy left, she’d called Leah, Earl’s wife, to offer to come over if she needed someone to talk to. She pushed her door open and entered, hoping everything was all right with Leah, who had instantly renewed their friendship when she’d first come to town nine months ago. Quickly Jocelyn crossed to the window and opened the blinds to allow sunlight to pour into the room. After being gone for two days to speak at a conference in New Orleans on counseling children who were victims of crime, the musty smell of a closed office accosted her. Her neighbor’s frantic tone heightened Jocelyn’s concern. She placed a call to Leah’s apartment. What was going on? A new development in Earl’s death? The rough voice snatched any words from Jocelyn’s mind for a few seconds. “Who’s this?” the man demanded. She tightened her hand around the receiver. “Dr. Jocelyn Gold. Who is this?” she asked with as much authority as she could muster. Jocelyn jerked up straight. “Disappeared? When? I saw her on Friday right before I left.” Her friend had urged her to go and speak at the conference, that she had Shelby and Clint to support her while Jocelyn was gone a few days. Even after the sheriff hung up, Jocelyn held the phone to her ear for a few extra seconds. Where’s Leah? Is she okay? Does this have something to do with Earl taking his own life? In spite of Leah’s urging, I shouldn’t have gone. If I had been here, maybe she wouldn’t be missing. I let her down. She’d come back to Loomis to get away from crime. When she’d worked with the New Orleans police as a consultant dealing with traumatized children, the stress made her long for a more laid-back place to live and a job where she wasn’t bombarded constantly with the horrors people could do to children. 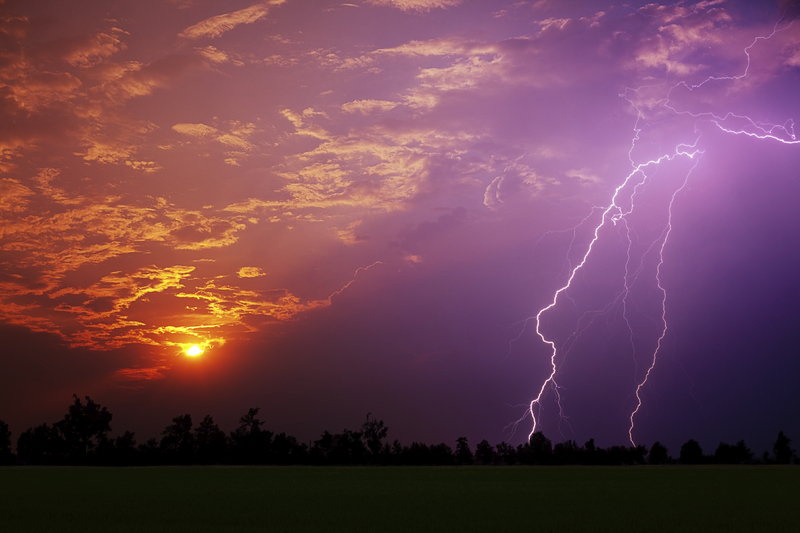 Memories she refused to think about inundated her with the suddenness of a summer thunderstorm sweeping in from the Gulf of Mexico. She couldn’t hold them at bay. Legs quivering, she slid down the front of the desk to the hardwood floor. I let someone else down and he died. Please don’t let it be happening again. A tear slipped from one eye and rolled down her cheek. She swiped it away, determined not to revisit her past. But the images of the lost child—and her friend Leah—haunted her. Several hours later, Jocelyn dropped her pen, her hand aching from writing up her clients’ notes in their files. Glancing toward the window, she saw the patrol car still in front of the pawnshop. She stood, stretching her arms above her and rolling her head to ease the tension in her neck. A knock sounded and sent her whirling around toward the door. She stared at it, not moving an inch. This time someone pounded against the wood, prodding her forward. She hurried from her office into the reception area and peered out the peephole. The sight of Sam Pierce stunned her. She hadn’t seen him in months—not since she’d worked that child kidnapping in New Orleans with him. It hadn’t ended well, and they hadn’t parted on good terms. Sam pivoted to leave. Quickly Jocelyn unlatched the lock and pulled the door open. Halting, the over six-foot FBI agent glanced back at her. Dressed in a black suit with a red tie, dark hair cut short, he fixed her with his intense stare, his tanned features making a mockery of the cool January weather. The formality in his voice made her wonder if he was only trying to be polite. “Yes.” He took a step forward, forcing her to move to the side to allow him into the office. “So you knew her well. Professionally or personally?” He wore a no-nonsense facade as if they hadn’t dated for four months right before she had moved to Loomis. As if he hadn’t saved her life once. Jocelyn waved Sam toward the chair in front of her desk in her office. She sat in hers behind it, biding her time while she gathered her composure. As a psychologist, she’d learned to suppress any emotions she might experience in order to deal with a client’s problem. His presence strained that skill. “Personally. We’re neighbors.” She knew she was stating the obvious, but Sam’s intense stare unnerved her, as though he remembered their time together but not fondly. He was one of the reasons she had come to Loomis nine months ago to open a private practice and teach a few classes at Loomis College. Grinning, Sam threw a glance at the pawnshop across the street and said in a teasing tone, “Yes, I can see.” Then as though he realized he’d slipped too quickly into a casual, friendliness toward her, he stiffened, the smile gone. His sudden change pricked her curiosity. He didn’t like this any more than she did. That realization made getting through the interview a little easier. She relaxed the tensed set of her shoulders. When she had started seeing Sam in New Orleans, she had known it wasn’t wise to date someone she had to work with from time to time in volatile, intense situations. Being a consultant on kidnapping cases where children were involved had thrown them together over the course of the year he’d been in the Big Easy. Jocelyn gripped the edge of her desk. “Look, I’m happy to let you hear the recording, and I’ll help in any other way I can, but I insist on us putting our former relationship in the past where it belongs.” Their relationship started when Sam rescued her from a patient’s father who tried to kill her, and it fell apart when they worked together on a kidnapping case that ended violently. Brutality had surrounded her in New Orleans. She thought she’d escaped it by coming to Loomis. “Do you mean it? You’ll help with this case? Because I was thinking we need someone with your experience.” His frosty gaze melted a few degrees. Although she now worked with all ages, in missing-persons cases she’d dealt only with the children involved. “Well, yes. I’ll help. Jocelyn’s heartbeat quickened. Poor little Sarah! “I’d give you the tape, but I use an answering service.” The second time she heard it Jocelyn was even more convinced Leah was in trouble. Was it due to her husband’s suicide or something else? Where did Sarah fit into this? Had the child heard or seen something she shouldn’t have? “A few hours.” He captured her gaze, intensity pouring off of him. “Both.” Before she snapped her pen in half, Jocelyn placed it on top of the folder she was working on. The formal tone returned to his voice and bearing, and she grasped it like a life preserver. So long as he kept things professional, she would be able to help Leah—that was, if she could keep herself from remembering her and Sam’s past relationship. She locked her office and trailed him to the parking lot at the side of the building. He headed for his black nondescript sedan. “I’ll drive myself.” Jocelyn paused a few feet from her yellow T-bird. When she pulled out onto Main Street, she noticed the sheriff coming out of the pawnshop with several plastic bags, probably full of evidence. Seeing them brought to mind the other child from her past—the one she hadn’t been able to save. His hands tight on the steering wheel, Sam kept sight of the yellow Thunderbird a few yards in front of him. He’d known that Jocelyn had left New Orleans for a job in a Louisiana town north of the city, but he hadn’t been prepared to see her again today—and worse, needing to work with her. Being with her brought back the memories of the last case they’d handled together. For several seconds the image of the little five-year-old boy’s body, bruised and beaten, and the horror on Jocelyn’s face at the sight flashed across his mind like a strobe light. Jocelyn’s reaction drew his own repulsion to the foreground. He’d almost quit his job. He gripped the wheel until his hands ached. He hadn’t found the child in time, and that would haunt him for the rest of his life. It flashed in his mind alongside his own younger brother’s face the last time he’d seen him twenty-five years ago. He shook his head to clear the disturbing images as Jocelyn turned into the driveway of an older two-story house with huge oaks dripping Spanish moss standing sentinel in front. Parking behind her, Sam shut down his thoughts of the past. He couldn’t let anything cloud his judgment while working the case. He’d concentrate on solving it soon and be gone from Loomis. 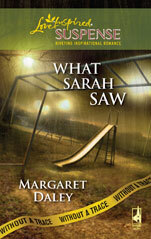 I am just starting to read ur books and I was wondering what other books went with the series what sarah saw.